I’m a firm believer that you cannot in fact have too many cameras. My collection is just grew a little this month. For my birthday Josh gave me a GoPro Hero3 helmet cam. Just in time to take on our big trip. This little guy is a powerhouse, perfect for diving. I have in the past used an underwater housing for my DSLR (a Nikon D5100), but that ended badly in Mexico this year. Not only will this be awesome underwater but with HD video and time-lapse shooting options; we can make some very cool videos. Josh already wants to re-shoot the video we made of us setting up the trailer. He also wants to strap this thing to Pippi but I fear she might not be cooperative. My girlfriend Ree, whom we are vacationing with, also has a GoPro. We should be able to create some cool stuff with multi-angle. 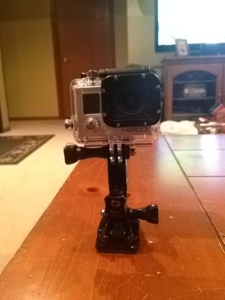 This entry was posted in Photography and tagged GoPro, Helmet Cam, Hero3, Photography. Bookmark the permalink.